What’s Causing Pain on the Left Side of My Belly Button? The area of irritation on your foot will appear reddened at first. Soon you will notice a bubbled sac over the affected area which can be painful at times. Ruptured blisters on feet have the potential to become infected. Should this happen you may notice draining of pus from foot blisters, reddened streaks spreading outward and possibly a fever. You will also notice an increase in pain, redness, swelling and warmth to the affected area. These signs and symptoms could indicate cellulitis and require treatment from a medical professional. Most blisters on feet will heal on their own. Treating them at home can relieve pain, prevent infection and aid in the healing of large or broken blisters. If the foot blister is not making walking painful, then let it heal by itself. You may cover blisters on feet with a gauze bandage, plaster, moleskin or any other cover that provides protection to the area. When remove the bandage, keep the affected area open to air which will aid in the healing process. If the blister is in an uncomfortable area, such as the bottom of your foot, use a moleskin pad that is shaped like a doughnut to protect this area. The doughnut shaped design leaves the area over the blister open to allow air flow to the affected area. Check and cleanse the affected area daily and if wet or soiled, using warm soap and water. Apply an antibiotic ointment. If you have to continue the exercise that caused the initial damage apply iodine antiseptic, use a non-adherent dressing for cover and secure with strong tape, such as zinc oxide. This will aid in preventing infection, provide a barrier against further friction and will provide you with a dressing that you can easily remove. Don’t remove the flap of skin left by the open blister unless it is very dirty, torn or has pus underneath it. Instead, smooth the flap over the tender area of the blister gently. Keep covered with an antibiotic ointment and a bandage unless you are repeating the original exercise that caused foot blisters, in that case refer to dressing above. Again, when resting or sleeping, remove the bandage keeping the affected area open to air to aid in healing. With rubbing alcohol, wipe down a needle or straight pin and allow it to dry. Puncture the edge of the blister gently. To drain the fluid, press it towards the puncture hole. Note: Do not drain a blister on your foot if you are at risk for developing infection from diseases such as diabetes, HIV, cancer or heart disease. Many factors such as dry skin, certain types of socks, heat and the healing process in general can cause itching. Below are some home remedies that are useful in relieving itchy blisters on feet. Keep the itchy area cool and wet by applying a cloth that you soaked in ice water, or by getting into a cool tub or shower. However, remember that doing this repeatedly can dry your skin. Take an oatmeal bath or place a washcloth soaked with oatmeal over itchy blisters on feet for approximately 15 minutes. Apply a paste over the affected area by mixing baking soda and water together. 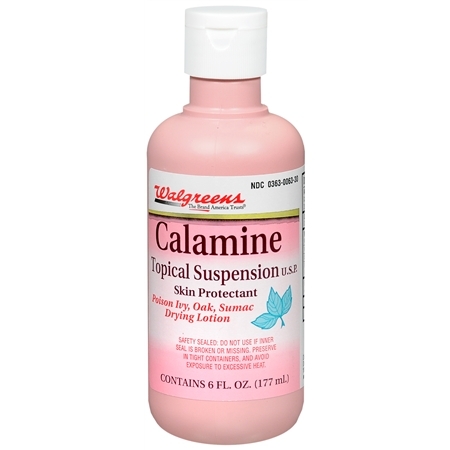 Calamine lotion, although not a home remedy, helps to dry out blisters that are itchy and draining. Use a gentle soap for cleansing, such as Dove. Keep feet moisturized to avoid dryness. Wear cotton socks, they are less irritable than other types of material. Most important, don’t scratch the affected area, this provokes more itching and may leave you at risk for developing an infection. These are just a few examples of remedies and treatments you can provide at home to aid in healing of your blisters on feet. Using creativity in your medicine cabinet or first aid kit can also be beneficial as long as the chosen treatment serves the same purposes of keeping clean, protecting and preventing infection.